I had never been to a Renaissance Fair. When I saw the giant ad in the back of the Marta bus, I started pestering Jeff until he agreed to go. We somehow convinced three friends to join us and made a fun day out of it. To be honest, I didn’t know what to expect from the fair. My knowledge mostly came from movies and tv shows such as the Gilmore Girls. All I knew is that I wanted to eat a turkey leg. Soon after our arrival, as everyone went to the drink booth, I headed to the turkey leg booth. 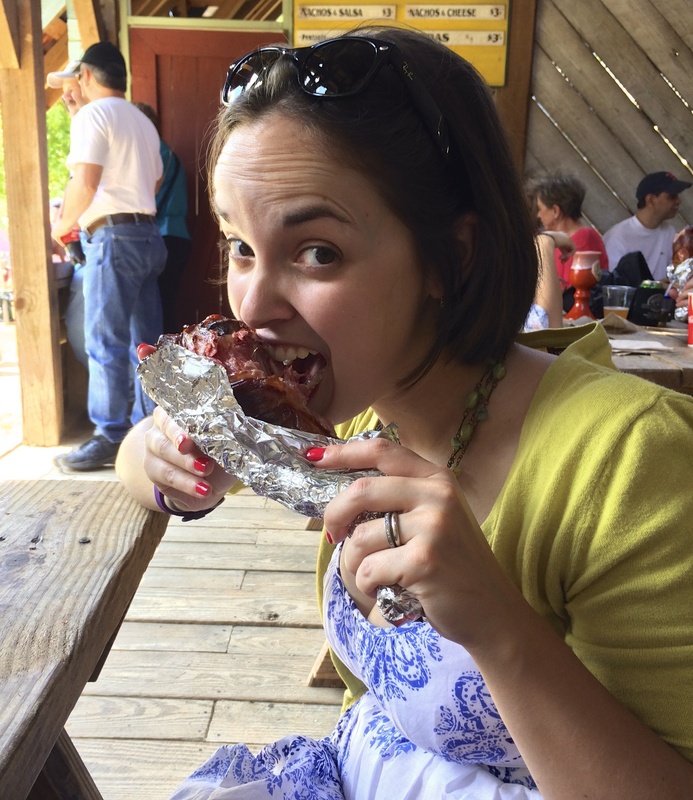 For $4, I came back with a turkey leg the size of my head. The first few bites were fun and tasty. But I must admit that it was a lot of fried meat. I sadly didn’t manage to eat the whole leg but enjoyed it nonetheless. Should have put something for scale. That thing was huge! 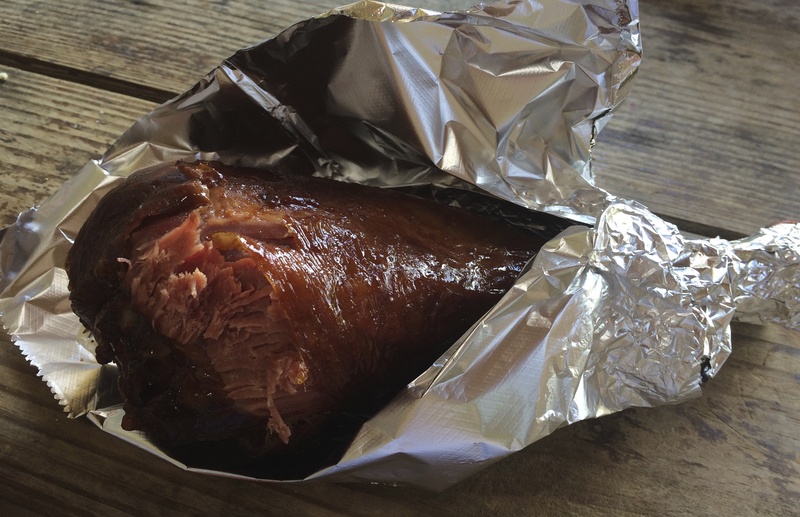 Of course, a turkey leg wasn’t enough. After two hours or so of walking, I was ready for more. So many food on sticks, including mac’ and cheese on a stick! 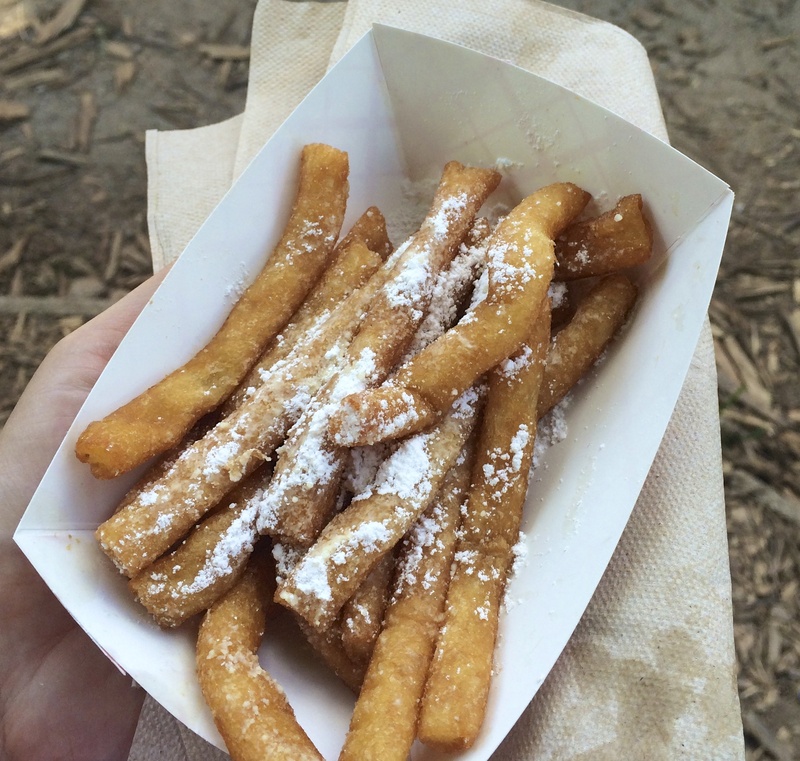 I finally chose the non-medieval funnel cake fries. I don’t think I had ever had a funnel cake before so this was great. It even had maple syrup drizzled on it. Yum! Does anyone go to fairs for anything but the food? I sure don’t! We did branch out from eating sporadically to watch a jousting match, check out the many shops and, of course, buy a flower crown. Because why not. All in all, it was a pretty nice day in the sun, in good company, with ridiculous amounts of food. As if it wasn’t enough already, we ended the day by finding a little hole-in-the-wall restaurant in downtown Fairburn: Clifton’s Sport Bar. We arrived with low expectations and left with happy bellies and big smiles. 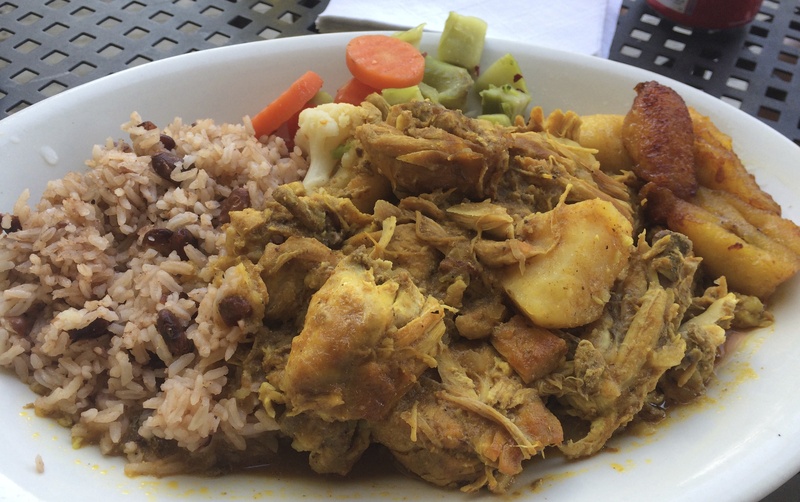 We enjoyed fantastic home-style Jamaican cooking. Due to my many indulgences at the fair, I sadly wasn’t able to finish my plate but it was so very good. What are your to-go food at fairs and festivals? What have you been dying to try? Next postHungry Quebbie is now on Facebook!